Get The Expert Answer: Do Mushrooms Have Protein? Are Mushrooms a Good Source of Protein? Why Use Mushrooms for Protein? Mushrooms are a common choice in cooking and a great way to add extra flavor and texture to your dishes. But, do mushrooms have protein? The simple answer is yes. Mushrooms are even promoted as a key protein source on a plant-based diet. They’re also used as a meat substitute in some situations. Despite this, the protein levels in mushrooms aren’t as significant as you might expect. In this post, we’re looking at the protein in mushrooms and the implications for your overall diet. This includes considering how mushrooms compare to meat, the nutrients that mushrooms offer and how you can use them effectively. Mushrooms do offer protein but they’re not a powerful choice. In fact, mushrooms can seem a little disappointing when you first look at them. The list below shows key examples (details are for 100 grams of raw mushrooms). There is some variation across the different types of mushrooms. But, the protein content is always pretty low. The same is probably true for less common mushroom types. The levels are a little different for cooked mushrooms, but not dramatically so. But, mushrooms are still very relevant for your protein intake. Objectively, mushrooms aren’t an amazing choice for protein. At best, you’re getting a little over 3 grams of protein per hundred grams. And, mushrooms aren’t typically used in large quantities. For example, a single grass-fed strip steak offers around 50 grams of protein (12). You’re never going to get that much protein from mushrooms. This means there are many better sources of protein out there, including most types of meat and various protein powders (including plant-based options). Yet, mushrooms are often considered high in protein. They’re also considered a powerful source of protein for vegetarians and vegans. Why? To answer that, we need to compare mushrooms to other sources of protein. Per hundred grams, mushrooms aren’t impressive for protein whatsoever. But, they are very low in calories. Let’s look at the protein in mushrooms compared to meat. This time, we’ll consider the nutritional data per 100 grams. Lean sources of meat, like chicken breast, are still a better source of protein per calorie. But, this comparison shows that mushrooms are surprisingly decent as a source of protein. They even offer a better balance of protein and calories than fattier cuts of meat. You’d still need a large amount of mushrooms to meet your daily protein goals. But, you wouldn’t want to get all of your protein from mushrooms. They’re simply one source. Protein is often evaluated based on whether it is complete. A complete source of protein contains all of the essential amino acids that you need. Animal-based protein is typically a complete source. 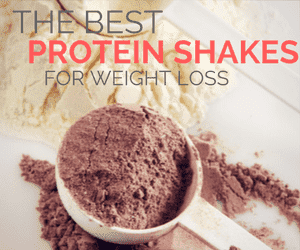 This includes protein that comes from meat, along with whey protein. But, you don’t need a complete protein source to get all the amino acids you need. You can also combine multiple protein sources. For example, a meal with mushrooms, broccoli and corn acts as a complete protein source (17). Mushrooms aren’t normally eaten on their own anyway. You’ll typically be including other types of protein at the same time – especially as the protein content of mushrooms isn’t high. Related Article: What is Quality Protein and Why Do You Need It? There are many different types of mushrooms. But, this section is going to focus on the common white mushrooms. They're the ones that you would buy at your local store (18). As you can see, the quantities of nutrients aren’t especially large. The most prevalent ones are riboflavin, niacin and copper. Mushrooms are also a fairly good source of selenium and they do contain some fiber. Mushrooms can sometimes be a good source of iron too. For example, one cup of cooked mushrooms contains 15% of your daily intake for iron (19). For these mushrooms, roughly 50% of the calories come from carbs, 37% from protein and 13% from fat. But, there aren’t many calories per serving. Mushrooms are more than 90% water. In fact, 100 grams of raw mushrooms contains around 92 grams of water (20). This is why their bulk decreases so much when you stir fry them. Other varieties will have different compositions of nutrients. But, many of the patterns will be the same. So, why turn to mushrooms in the first place? You could get the same amount of protein from other sources, with much less effort. Even a single steak far outweighs the protein content of mushrooms. But, there are some key reasons why mushroom protein still matters. Technically speaking, mushrooms are fungi, not plants. But, they offer many of the same advantages as plants. This includes being low in calories, having many useful nutrients and not coming from animals. As a result, mushrooms are a great source of protein for vegans and vegetarians. They’re also good for anyone wanting more plant-based nutrients in their diet. In fact, many health and weight loss theories suggest that calories simply don’t matter. The blogger Dr. Hyman offers some insight into this topic, while the site Nutritional Anarchy discusses how calorie counting can sometimes be a poor choice. It’s also clear that we need to focus on choosing whole foods, ones that offer many nutrients. This is much more important than the calorie content. Even so, the low calories in mushrooms are important. This means you can easily add mushrooms into meals. As a result, they’re an easy way to get extra protein. Mushrooms are generally considered low carb and keto friendly. For example, Ruled.me includes them on their list of low carb vegetables for keto. White mushrooms contain 3.3 grams of carbs per 100 grams, which includes 1 gram of fiber. This gives them a net carb content of 2.2 grams per 100 grams. That’s not too bad – especially as you mightn’t use 100 grams at a time. Of course, the carb content will vary across mushroom types. The suitability of mushrooms will also depend on the rest of your diet and on the meals that you’re cooking. Mushrooms make meals that much more interesting. They often provide extra flavor and texture to a dish. Many people use mushrooms instead of meat as well. For example, the site Oh My Veggies offers 17 recipes that replace meat with mushrooms. This is partly because mushrooms do have a meaty texture. Their flavor profile is perfect as well. There are many different types of mushrooms as well, including the large portabella mushrooms that are often stuffed. Like most whole foods, mushrooms have been linked to various health benefits. For example, Dr. Axe talks about the way that they can boost the immune system, improve brain function and promote weight loss. Some less common types of mushrooms are thought to offer more powerful advantages. Shiitake is the most popular example. These mushrooms are also an effective way to add flavor into meals. The site Oola highlights some other types of mushroom and their health implications. It’s clear that mushrooms are beneficial. They mightn’t be the best source of protein out there – but they’re still a great diet addition. The simple answer is to cook them. There are many different recipes that you can try and we’ve included some below. The best starting place is simply sautéing, as the video shows. Sautéed mushrooms are incredibly versatile. They taste good enough that you could use them as a side dish without adding anything else. They can also be included in many recipes. Some other options include the following. Stuffed Mushrooms. Recipes often use large mushrooms, like portabellas. But, some use smaller mushrooms instead and these recipes are often good for snacks or finger foods. Some examples include Crab-Stuffed Mushrooms (from KetoDiet Blog), Sausage Cream Cheese Dip Stuffed Mushrooms (from Café Delites) and Philly Cheesesteak Stuffed Portobello Mushrooms (from Skinny Taste). Roasted Mushrooms. Mushrooms are easy to roast and their meaty texture works perfectly with this type of cooking. Serious Eats has a great Easy Roasted Mushrooms recipe. An alternative is Roasted Garlic Butter Mushrooms from Dinner then Dessert. Mushroom Soup. Budget Bytes offers a Creamy Garlic Mushroom Soup that’s worth trying. There are, of course, countless other recipes out there. But, you get the general idea. Many of them also contain other sources of protein. Mushrooms are typically eaten cooked, not raw. But, there is a growing raw food movement and some people do use mushrooms raw as well. This happens because cooking alters the chemical composition of ingredients. This can reduce the levels of some compounds, potentially decreasing health benefits. Even so, raw mushrooms are controversial. Some authors claim there are toxins in raw mushrooms (including regular white mushrooms). A key compound is agaritine, which is deactivated during cooking. At least, that’s the theory. Lindsay Nixon from Happy Herbivore offers an alternative point of view. She examines the science that other authors are quoting and states that most people shouldn’t be worried. There isn’t enough evidence to say you shouldn’t eat raw mushrooms. Many people do without any problems and the health risks are minimal. Despite this, raw mushrooms are harder to digest. This is because their cell walls are made of mycochitin (22). Many people can still eat them without a problem. But, others may need to cook them first. But, as always, pay close attention to your body. If you experience side effects (like stomach cramps), cook your mushrooms instead. Also, you should probably cook mushrooms if you’re foraging them. This may reduce any health risks from misidentifying mushrooms. Mushrooms aren’t an especially powerful source of protein. But, they still have some. What’s more, mushrooms are great additions to your diet. They’re a key source of nutrients, while also being very easy to use. If nothing else, they’re a great way to make meals more interesting.